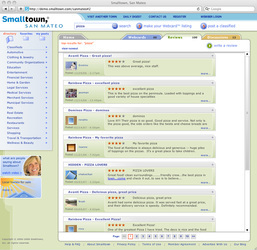 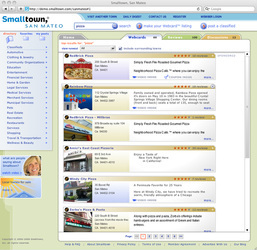 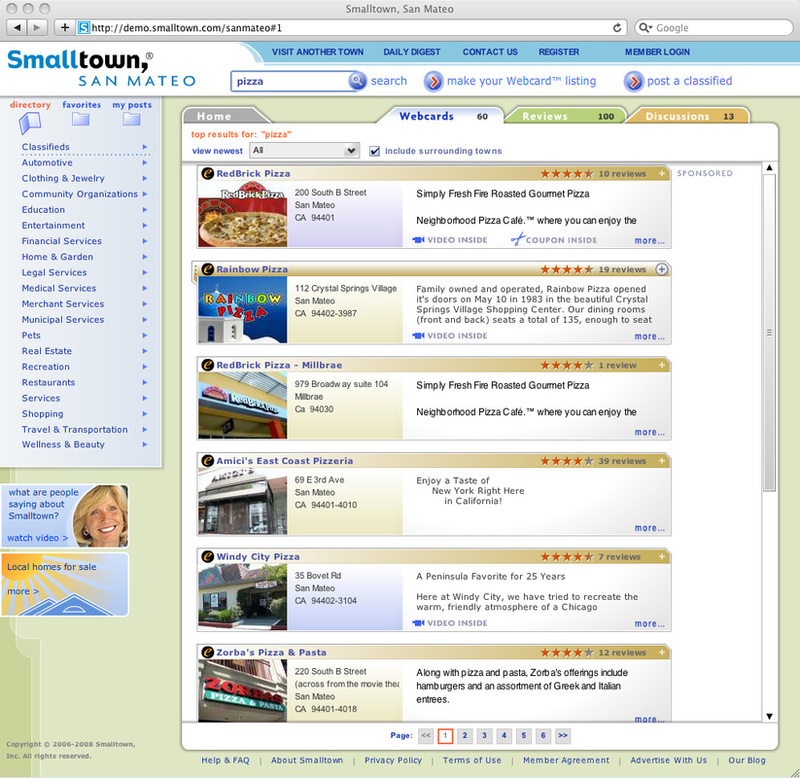 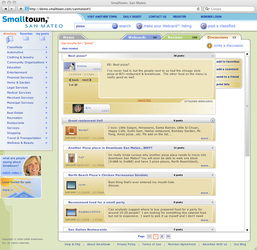 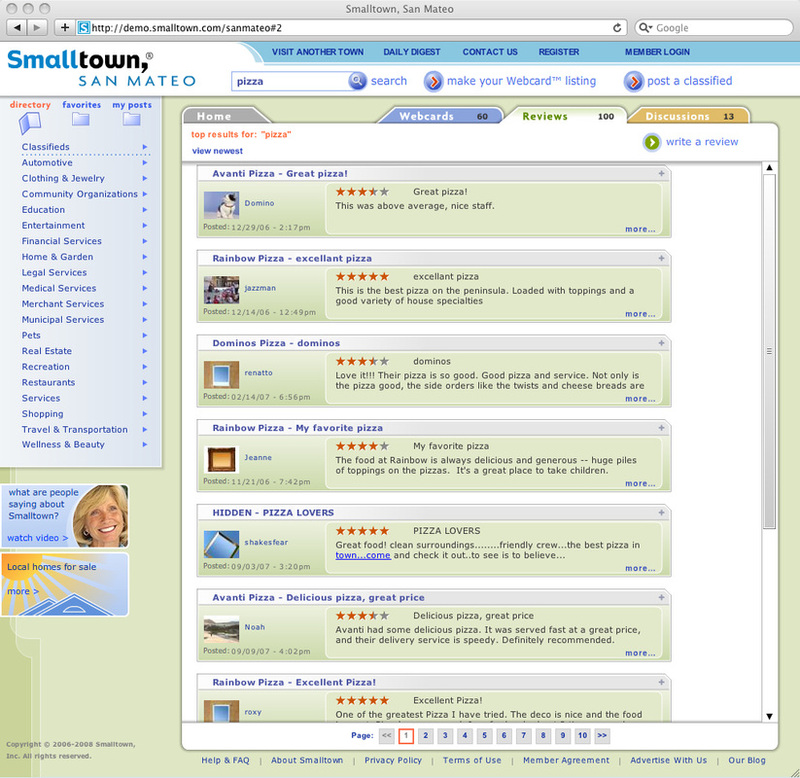 SMALLTOWN was a network of next-generation community websites that featured reviews, discussion threads with recommendations, and multimedia business listings called Webcards. 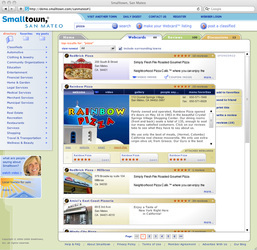 Webcards could be created at Smalltown and published to other sites. 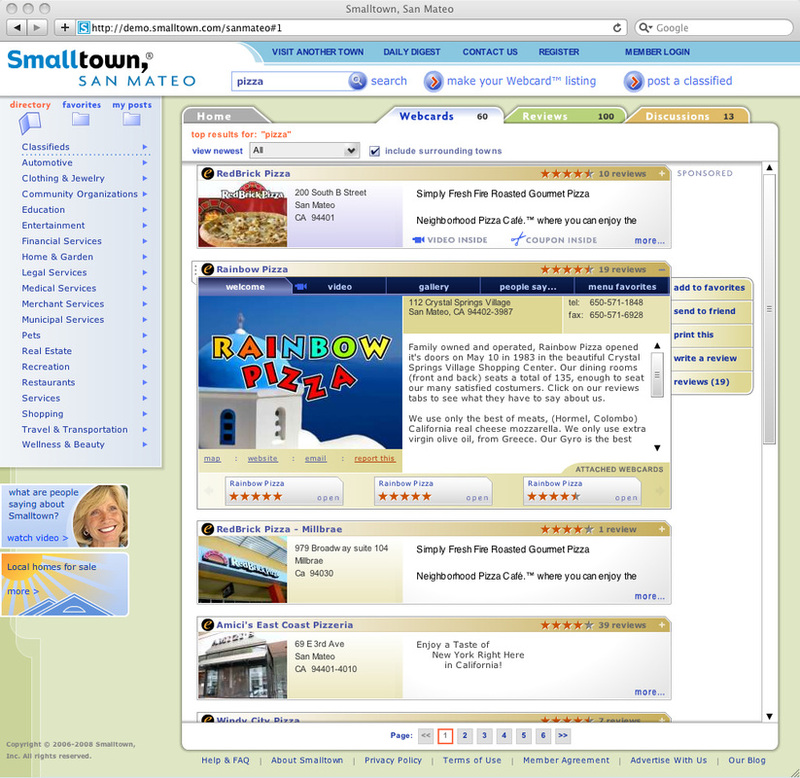 When the business owner modified their Webcard, those changes were automatically reflected everywhere the Webcard appeared. 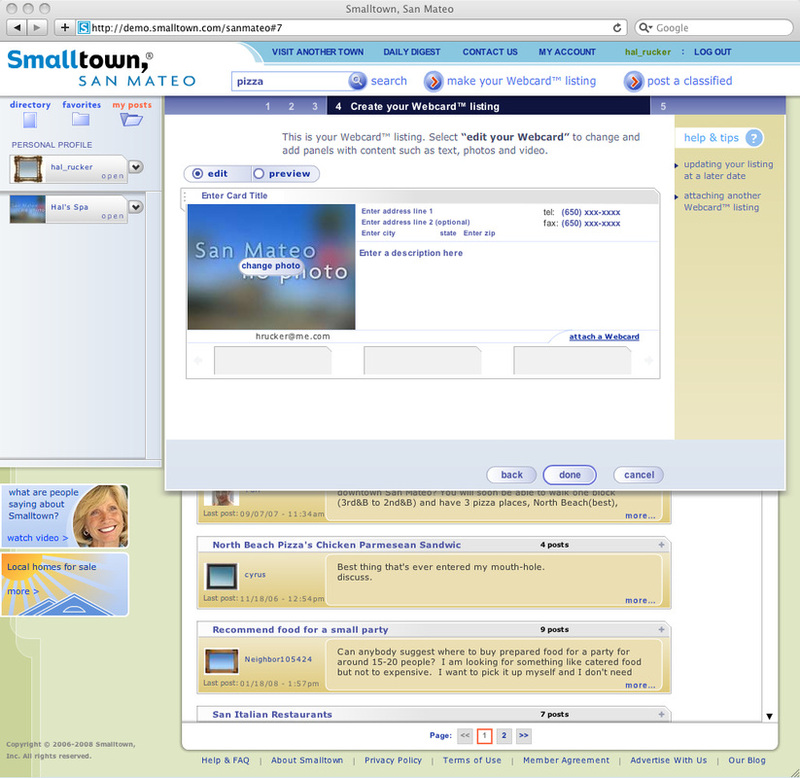 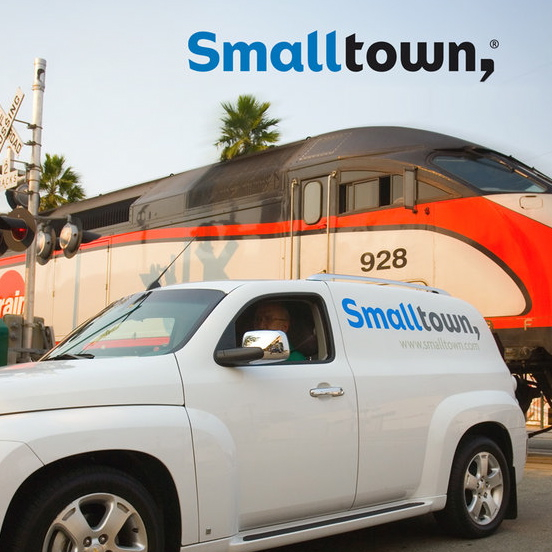 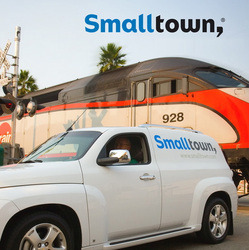 I started Smalltown in 2004, raised a $3M Series A and sold the company to Cisco Systems in 2010.